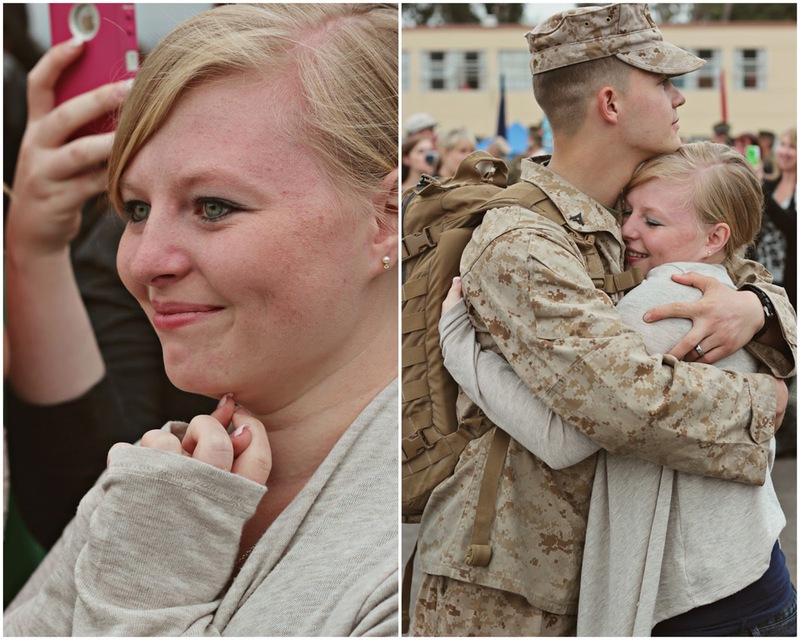 Today is happy homecoming by Adele Moore of Adelezcoeur Imagery and she is located on Camp Pendleton, Oceanside, CA. She has been doing photography for five years. Young sweet love, oh, so precious! 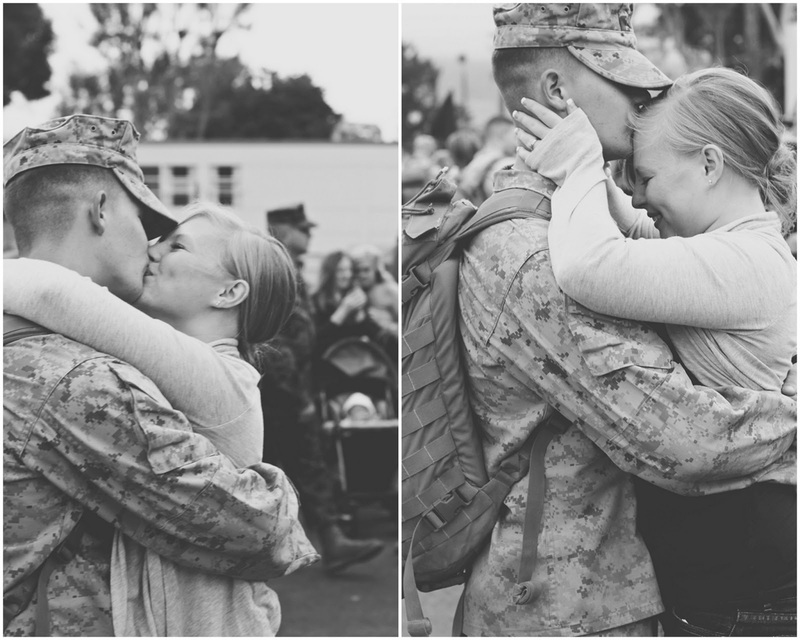 1/1 Homecoming - Camp Pendleton Here is Brian and Nicole's love story. "Brian and I are from Salt Lake City Utah. We met in high school from mutual friends and have been together for 4 years married one on February 4! 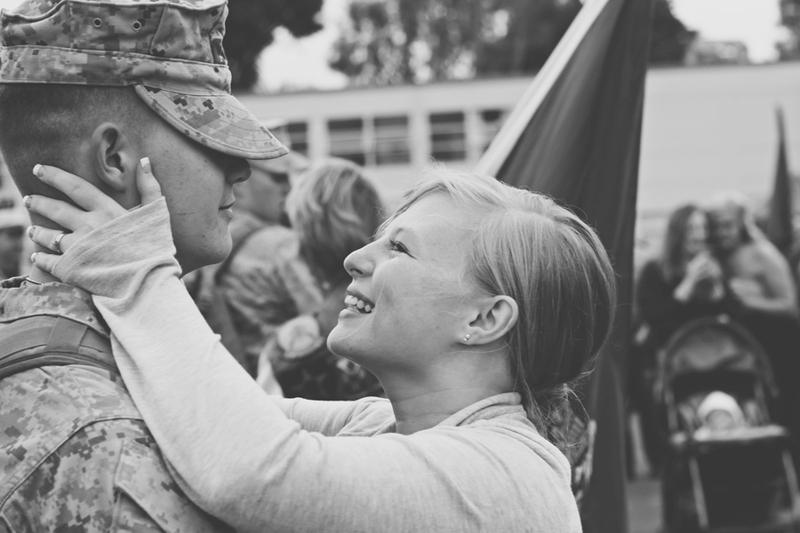 Brian has been in the marine corps since August 2011 so it's been a year and a half almost. This is our first duty station. 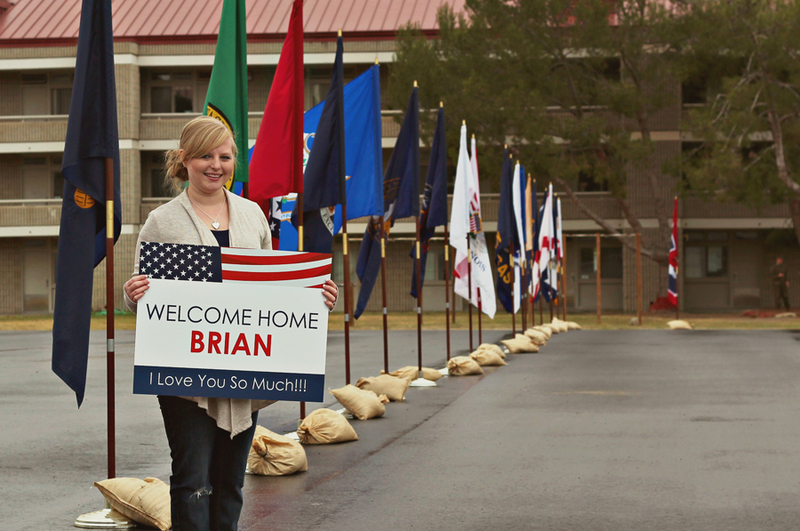 Brian was deployed to Afghanistan in June 2012 and was supposed to come home in September but unfortunately his company was extended until late November. 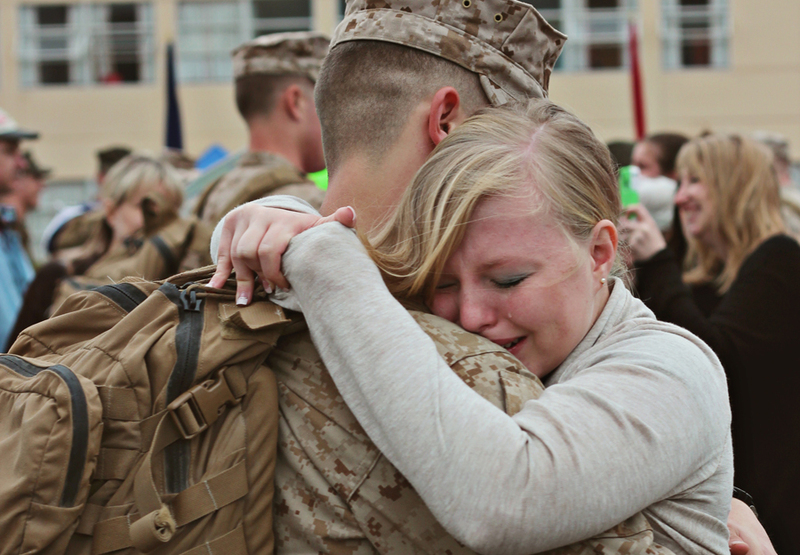 It was his first deployment and he is very grateful to be home! He is in infantry so unfortunately he will deploy at least one more time before he gets out but we try not to think of that." 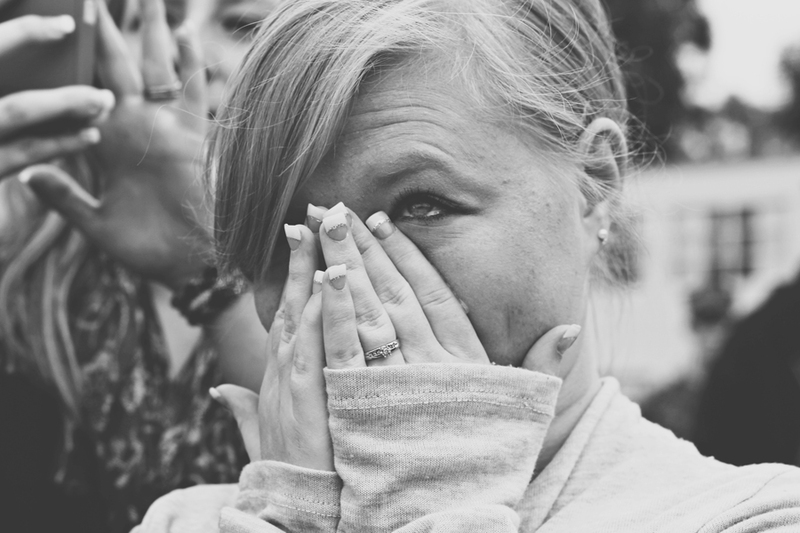 Thank you Adele for sharing these emotional photos.